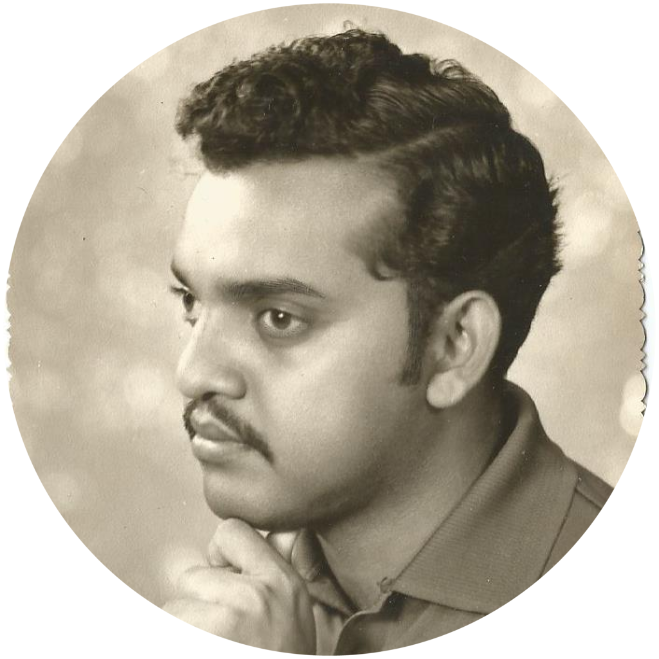 I was in Form 3 in 1966 and 15 years old when Jamie Subramaniam, known to all as Jamie Maniam, was a Technician with the Public Works Department in Rompin, Negeri Sembilan looked me up in Jeram Padang Estate and spoke to me about the Baha’i Faith. I immediately liked the teachings and asked what I should do. He asked me to follow him on his Lambretta motorcycle to another Estate nearby, Batu Bersawah Division and dropped me there to teach my friends about the Faith. I asked him what should I tell them and he said, tell them why you like the Baha’i Faith. He then drove off and said he will pick me up in 3 hours. I met some friends and spoke to them and they were all interested. When Jami returned and I told him, he said good and gave me a card to sign. He also gave me the book Baha’u’llah and the New Era to read. Soon after, he would come and fetch me and we would go teaching to the nearby estates including Kepis Division and many of my school mates accepted the Faith. I started a children class using guide by Hand of the Cause of God Dr. Muhajir, and soon we had about 20 children and youths attending the class. Also while I was in Form 4 and 5, Jami and G.Appala Naidu would pay my bus fares to attend Baha’i meetings in Malacca, Jasin and Seremban during the school holidays. I would stay with Raymond Peter in Jasin, and at the Baha’i Institute in Bukit Baru, in Malacca and go out teaching. It was during these times that I met the families of Uncle Leong Tat Chee and Inbum Chinniah and many other well-known Baha’is. In my visits to Seremban, I meet Uncle Yankee Leong and his family, Satanam, Isaac, Vishnupatham, Mariappan and others. 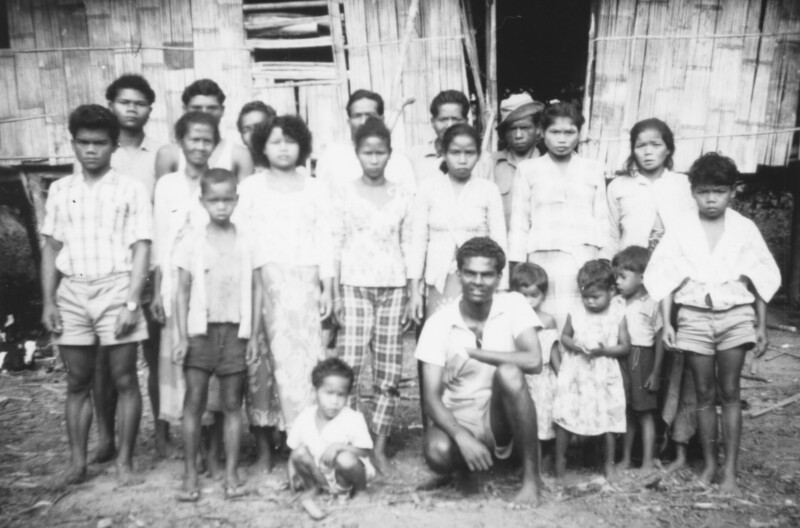 In my visits to Seremban, I stayed with Bornoh Dass and his family, as I knew them from childhood days in Bahau. It was during these visits that I introduced the Faith to Bornoh Dass, Sitharaman, Sri Krishnan and a few other youths. In 1967 I attended my first conference in Kajang at the New Era Secondary school. That was a National Baha’i Youth Conference, where I met many Baha’i youths from other parts of Malaysia and people like Appu Raman, Sathasivam, Gopi and many others. Immediately after completing Form five, I volunteered for travel teaching, and left first for Seremban and stayed at the Baha’i Center for 6 months, teaching in the nearby Estates. While staying at the Seremban Baha’i Center, I got to know Uncle Yankee Leong more closely. It was also during my stay in Seremban that I made my first Asli teaching trip with Satanam, Isaac De Cruz and Vishnupatham. That first visit was love at first sight and I wanted to continue visiting the asli areas. When I went into the jungles, I heard of several others who had gone before us to lay a firm foundation for the development of the Asli communities. The earliest full time Asli teacher was Postman Krishnan from Seremban, who stayed for months with them. I was also moved to learn that even Dr. Muhajir had made visits to the jungles in Perak and met up Postman Krishan. Then came Lim Kok Hoon who dedicated his youthful days for spreading the Faith in the jungles and single-handedly completed the goal of the National Spiritual Assembly of Malaysia by translating the Baha’i literature into the asli dialects. These first timers were followed by several others in later years. 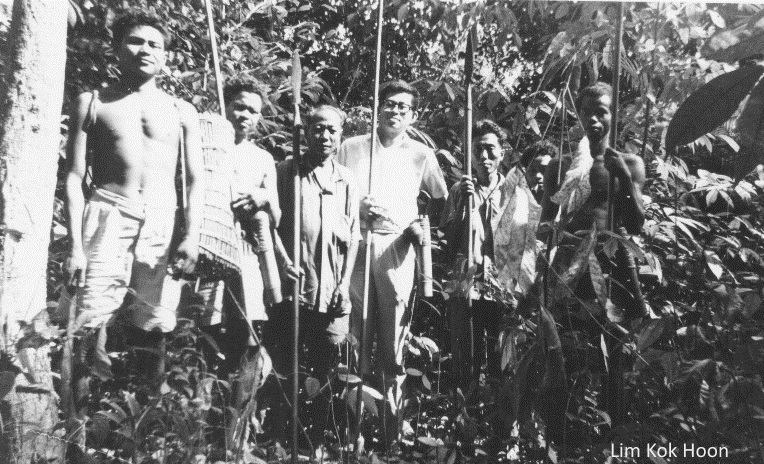 Prior to the South East Asia Regional Youth Conference held in December 1968, the National Bahá’í Youth Council had launched a “Youth Dedication Program” for the purpose of visiting and consolidating the believers in the jungles. Six of us vllunteered- Boloram from Bahau, Vythianathan and Satanam from Port Dickson, R. Kanthakumar of Alor Star and Vishnupatham of Seremban rose to the occasion, along with me. We went into the jungle with a special message- announcing the coming of Mr. Faizi to Kampong Chang in Perak on Christmas day, after attending the South East Asia Regional Youth Conference. This message was passed from village to village. From the reports I heard from Lim Kok Hoon and S. Satanam later, the Asli believers were overjoyed to have Hand of the Cause of God Faizi visiting him, and Mr. Faizi himself was extremely moved to see the Asli people seen and understood the Light of Bahaullah. Soon I was able to gain sufficient knowledge and an understanding of the way of life of the Asli believers. That enabled me to be tasked with organising an Alsi Teaching Course in the Baha’i Institute in Malacca in January 1970. This time some Iban Bahá’ís also joined the course. Each night we would sit with the Asli believers to do a revision of what was learnt that day. To my surprise they displayed such an amazing memory power, retaining all they had learned each day. By the end of the two weeks the Asli friends were able to give Bahá’í talks in simple Malay. The most exciting part was organising the believers in the deep jungles to attend the Oceanic Conference of the South China Seas in Singapore from 1 to 3 January, 1971. Hand of the Cause of God Dr. Muhajir in his previous trips had urged the Malaysian Baha’is to attend this event full force and requested that the aboriginal friends be brought in great numbers as well. The main task fell upon a few of us. We went into the jungles to explain to the friends to come for the Conference. Several of them were excited but they certainly had financial problems. The loving national institution took care of that. With that assurance several of them agreed to come along. The next was the problem of passports for them. The only believer who had gone overseas was Deraoh when he went to the First Baha’i World Congress in London in 1963. This time the entire lot had to obtain passports. We got this arranged for them by requesting them to come down to Kuala Lumpur on a special day. After making their applications they were sent back to the jungles. Then came the next phase. Buses were hired to take them from Kuala Lumpur to Singapore and back. Around Christmas time in 1970 we went back to the jungles and brought them to Kuala Lumpur. Once the number was complete, the journey started from Kuala Lumpur. Although the Asli friends were very happy to pass through so many towns all the way to Singapore, their hearts seem to be centred on that was to be expected at the Oceanic Conference itself. We reached the immigration checkpoint. As we all got down to have the passports stamped, the immigration authorities in Singapore were quite surprised to see the Asli believers coming in large numbers. One of the immigration officers took me to be an “educated aborigine” as I was able to speak in English, and probably resembled them in many ways. In Singapore we were all accommodated at the Singapore Baha’i Center. At the Unity Feast held on December 31, 1970 the Asli Baha’is were moved to tears as they were welcomed by hundreds of Baha’is from many parts of the world. Equally the Baha’is from the urban areas were moved to see the simple aborigine people making their way to the Conference. At the conference proper, the Hands of the Cause of God Enoch Olinga and Collis Featherstone showed so much love for them by hugging them. A special session was held for the Asi believers, where some Asli believers addressed the conference. A special tribute was paid to C.S. Maniam, another Asli teacher from Batang Kali, who died of malaria just ten days before the Conference. He was the first martyr for the Faith in Malaysia. On the return journey there was heavy rain and flood waters were rising everywhere. A national flood disaster was declared in West Malaysia. After reaching the National Baha’i center in Kuala Lumpur, they were taken back to their respective jungles. They were completely transformed after the conference, and their lives were no more the same. 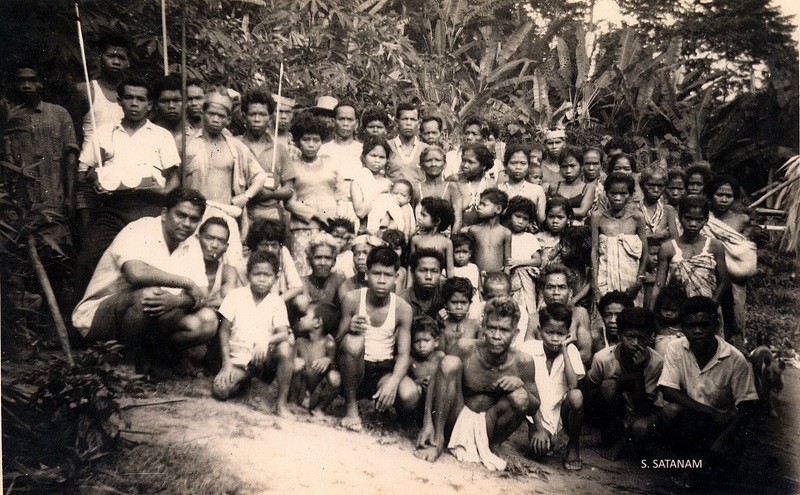 It was this early batch of Asli believers who laid a firm foundation in the jungles, and they are the ones who had sowed the seed and shown the way to the later generations. They at that time had not gone through the Writings of the Blessed Beauty and Abdul Baha or even that of the Guardian. They were touched by the spirit of the Faith. They clearly accepted the Faith through their hearts, and not through their intellectual capacity. They are ever thankful to the urban teachers who brought the message to the Asli villages. Till this day they remember them and some of them have even named their children after them. Although I had been fortunate to have served in a few other capacities, it is the Asli teaching trips that shall remain forever in my heart. While I became part of the Asli community when visiting them and staying with them off and on for about two years, and sharing the teachings and and history of the Faith, I in turn received from them great benefits for my spiritual nutrition. They taught me patience, steadfastness, love for each other, reliance on God and instant, exact and complete obedience to the Teachings of the Blessed Beauty. “WHAT A BOUNTY” to have served in the midst of those simple and pure hearted souls who had not been polluted by the materialism that was fast sweeping into society!